It used to be that restaurants wanted turn-over. More people in the door means more money spent, right? Not quite. Now, restaurants want people staying. Lingering. Hanging out. Ordering more food slowly. Ordering more drinks. This makes your establishment always look full and lively. We’ve all walked past empty restaurants that look like ghost towns. Do we stop in there for a drink or an app? No. We mosey on until we find a place that looks happening. Restaurants don’t necessarily need more people, like a revolving door. They need people hanging out. So how do you do this? How do you encourage your guests to come in and stay a while? We all know the gimmicks like hosting events. Live music. Meet ups. And those are all great for special events and one-offs. But how do you get people to hang out on a consistent basis? One tried-and-true technique is simply offering free wifi, right? But that also leads to a passive engagement level. People hunkered down over their computers not really interacting and definitely not looking lively. But most restaurants don’t want that. They want fun. They want atmosphere. They want laughter. Enter: eatertainment. This concept, first popularized by giants such as Dave & Busters and now revolutionized by Punch Bowl Social, has swept the nation in the last few years. Simply put: eatertainment venues offer activities alongside food and beverage service. 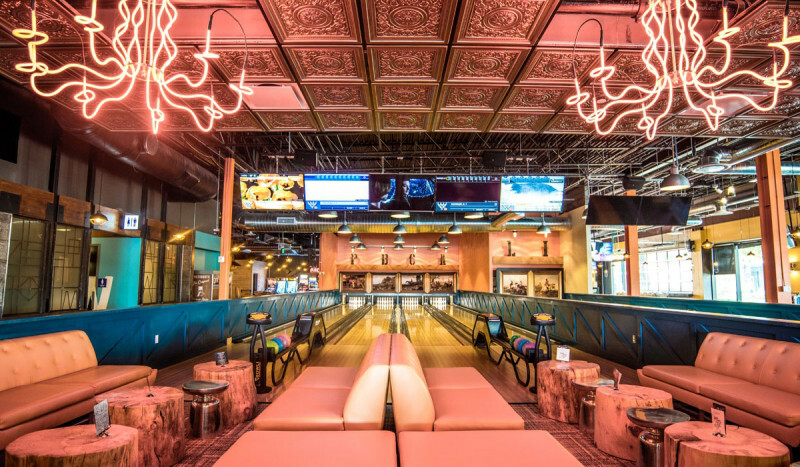 Think bowling, ping pong or old school arcade games after tossing back a few beers, while snacking on appetizers. This concept appeals to millennials the most because this generation wants a real destination when they go out. They want an experience. And they stay longer at the restaurant. They hang out. They order more food. And most importantly, they have fun. This is a double win for establishments because patrons tend to come back once a week or a few times a month- not just once a season or year. But don’t mistake that you can plop a ping pong table into your space and call it a day. The truly successful eatertainment eateries offer real-deal amazing food and exciting cocktails. Punch Bowl Social, the cool kid on the eatertainment block, gets 89 percent of its revenue from its chef-driven menu. Likewise, the design, furniture and decor are all extremely important. Eatertainment venues can easily look tacky and chaotic. You must be thoughtful and intentional in your FF&E choices. We create custom furniture for the nationwide Punch Bowl Socials and other creative restaurants because the subsequent look is then more interesting and bespoke than off-the-shelf furniture. 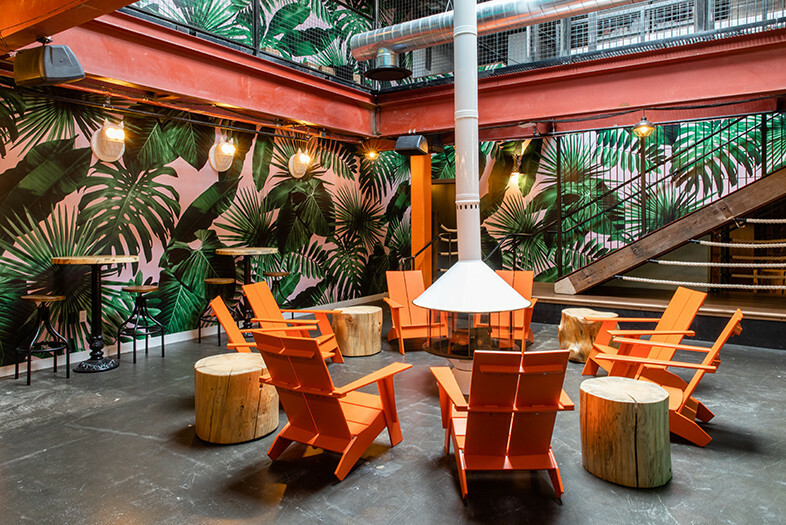 So, with eatertainment- plus an incredible F&B offering and beautiful design- you can get millennials in the door more frequently, and get them staying longer while there. 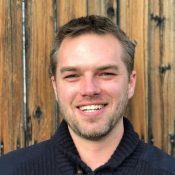 James Hixson operates Black Hound Design Company, a Colorado-based custom furniture business that has designed and built furniture for numerous restaurants, hotels, breweries and more. Hixson also creates fine art and sculptures for hotels all around the nation and is currently building several pieces for restaurants in Milwaukee, Fort Worth and Dallas.